These 3 cuties are why I continue to do my best and make the most of every situation. Back to the class-it took no less than 25 email exchanges to get enrolled in the class. I’ll spare the details. But it was a feat just to register for the class for all sorts of reasons. Beyond Conflict Parenting Class was upstairs in an old Portland house in a small room with uncomfortable church folding chairs. The instructor isn’t married and doesn’t have children. She’s been teaching this class for maybe 20 years? I can’t remember the actual number but long enough to see a lot of different situations and people. Funny thing is that I always felt better leaving that class than I did when I arrived. That is a good sign. I was surprised to feel this way because my expectations were low. Kinda like online dating. You do it, you put your best effort out there but you’re okay if nothing pans out. Yes, it spoke to the general public and wasn’t specific in handling high conflict divorce. However, the messages were good reminders to “do the right thing” no matter what. Some parents shared horror stories (not me of course for privacy reasons) and Judith never deviated from advising the “higher road” no matter what! I mean the stories were so bad that I can’t even repeat them here. But, Judith reiterated again and again focus on the kids and respond by respecting the kids. And, the best thing I learned in this class is that I’m only 1 parent. In essence, I’m potentially 50% of the solution and 50% of the problem. For example, if I do my very best and communicate clearly with kindness, it can only be 50% effective for communication. Depending on how the other parent chooses to respond is out of my hands. Wow, this was eye opening for me. I already know this as I love self help books and seminars but it’s a different beast when someone f*cks with your little kids. Anyway, simple advice to stay the course but a good reminder for me. Healthy, positive co-parenting takes 2 willing people. It is what it is. Facts I learned from this class is that less than 10% of families get divorced through family court. That means most families 90% or more are able to mediate and/or reach an agreement outside the courtroom. Hey, even Brad and Jolina chose to settle out of court. There were lots of books and handouts shared to help navigate this tricky family situation. And the most important take away from Judith Sweeney’s class is-When in doubt, focus on the kids! When uncertain on how to handle an unusual situation, focus on the kids! This entry was posted in dating, single mom, Twins and tagged airline, airplane, communication, conflict, coparenting, court, divorce, healthykids, healthymom, marriage, momhustle, momlife, perspective, portland, portlandoregon, selfcare, travel, truth on February 20, 2018 by babymama3pdx. Working out is hard! Oh so hard. Don’t feel like working out? Me either. Too tired to workout today? me too. Have a sick kid at home and can’t manage to get it together for a home workout? Me too. Too busy to workout? Me too. I will even take it a step further and say it may be harder for me (this is where I piss people off) Not because I’m a single mom and have my 3 small little people most of the time. It’s harder for me because my results aren’t visible and are hard to track. When you’re trying to lose 10, 20 or 50 pounds that’s easy to see results. And as long as you’re consistent with exercise and food, those pounds usually come off fairly quickly to celebrate regularly. First time in probably 7 years, where I’m not trying to lose the “baby weight.” And, I’m not trying to squeeze into a ridiculously tight and uncomfortable New Year’s Eve dress. Hoping I’m in my swimsuit and local flip flops somewhere on new year’s eve. My fitness goals are different today than what they’ve been in the past…These days, I’m focusing on the “Triple S’s” which are part of my new normal. My triple S’s are: STAMINA, STRENGTH AND STRETCH. I can kinda measure it with weights and flexibility but forget the scale. As the scale stays the same my clothes get baggier and baggier. Took me awhile to tap back on the cardio queen stuff that I innately love. I want my 3 little people to grow up thinking water is the preferred drink and outdoor activities and exercise is part of the daily schedule. Blaize stated that we’re getting exercise while we lugged 8 grocery bags from the car, to the elevator and down the hall to our house today. Yep, we sure are! So when you think, I don’t have time, energy or whatever other good reason you can think of, think of me… Think of me, hustling my 3 little people out the door with their water bottles, snacks and sassy attitudes to walk to the gym. Sure, it’s only a few blocks away (thank God!) But someone always cries when they don’t get to hold my hand for the walk. Real crying with real tears people… One day, I’m sure I’ll look back fondly on the intense love my littles have for me. Taking turns holding mama’s hand is so hard! My point is, that when I’m on the airplane in my tight, little costume dress it may not “look” like I struggle to workout or make the time to go to the gym but I promise I do. I’m just like you-trying to get out the door to get my workout in is half the battle. Often my body drags my mind to the gym. So strange but very true. Muscle memory is real. Perseverance, and commitment to myself and kids to be a healthy mom wins every.single.time. Maui Surf Session with my hot mama! This is 42 my friends and it’s different than I planned but it kinda looks okay. It’s not perfect and it’s not for free but nothing worthwhile ever is. This entry was posted in Campmommy, momlife, thrive, Uncategorized and tagged adventureisoutthere, familyfirst, fitness, flightattendant, health, healthykids, healthymom, momhustle, momlife, momof3, pdx, portland, selfcare, singlemom, thisislove, thrive, travel, twinmom on November 30, 2017 by babymama3pdx. Talking to one of my besties on the phone this morning about life and she said to me at the end of the call “you’ll be fine.” She’s very empathetic, very pregnant and never dismissive of my feelings. Rarely do I hear those three words from her. But, I heard them today and I’m running with it. I will be fine. I know this. But I want to be fine and much more than that. I want to thrive physically, mentally and with my three little ducks in tow. My mini me’s and me striking a pose. I’ve always wanted more than fine or average. I’ve always sucked the passion out of everything I was interested in. Whether it was spinning. I love spin classes!-I’ll teach them for 17 years. DONE. Whether it was running. I love running and will run 6 marathons including Boston. DONE. Buy a house before I turn 30 regardless if I have a partner. DONE. Have kids and breastfeed those little monsters until they want to quit. DONE. DONE and DONE. Now, as my three little munchkins are 4, 4 and 7 years old, I’m seeking the next level as a mom and a person. I want to thrive. And I want to thrive with my kids in our family and our life. First, I’m seeking more balance. More self care. More individual and ground quality time with my kids. I’m seeking more fulfilling workouts instead of just putting in the daily 45 minutes. Now, I want some quality and I started a new fitness routine that focuses on “strength and length.” Cardio is still what I crave but like I teach my kids moderation is key. Chilling at pdx playdate in the pearl while my kids get their romp on. 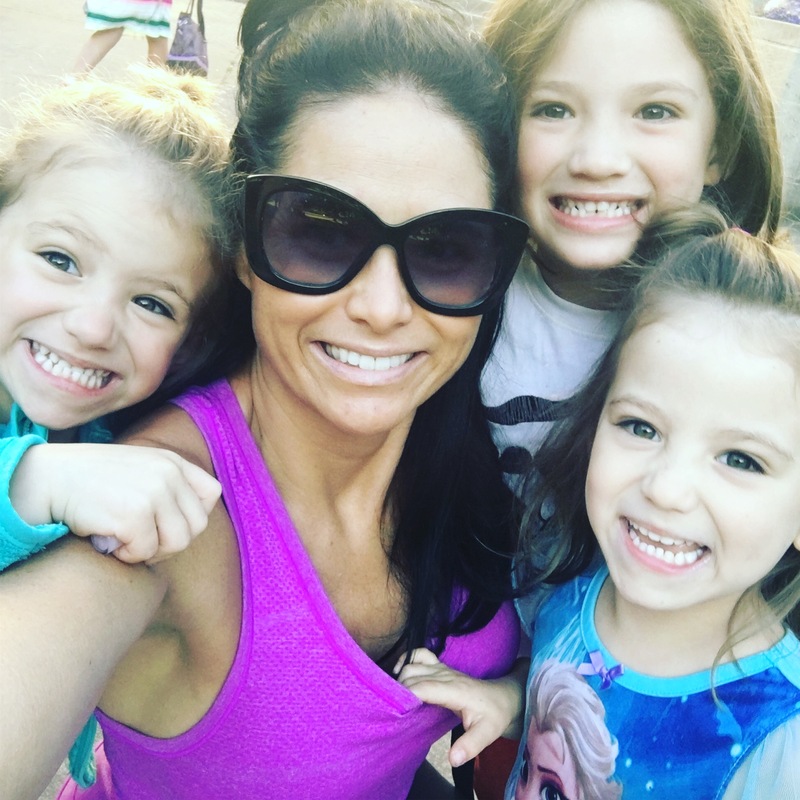 This entry was posted in Campmommy, momlife, My New Normal, thrive, Twins and tagged airplane, fitness, health, healthykids, healthymom, identicaltwins, ilovemykids, momhustle, momlife, momof3, momof3kids, momotwins, pdx, portland, selfcare, singlemom, thisislove, thrive, travel, Twins on October 13, 2017 by babymama3pdx. I hear a lot from other parents how their kids won’t go to kids club at the gym. I’m lucky because I have 3 little kids who love going to kids club at the gym. I’ve been a gym rat for as long as I can remember. When I was pregnant, I thought “wow I don’t know if I’ll feel comfortable bringing baby Kai to kids club as a 6month old baby? Who would hold him? Would they love him and hold him if he started crying? What if he pooped while I was teaching? I was a spin instructor for 16 years and even taught while I was pregnant with Kai. Much like everything else, your ideas change once you actually have a baby. I remember counting down the days until I could bring baby Kai with me (must be 6 months old) to kids club while I taught spin classes. I jumped on that spin bike 2 weeks after my c-section with Kai. I started teaching spin classes 30 days after he was born. And it was not too soon for me. 🙂 By the time baby Kai was 6 months old, I was knocking down the door at kids club. Sure, I had to power feed him right before class to keep him happy. And had to eat a balance bar during class to keep my energy high to make it through but I did it. Happy Mama! Posing post spin class before I raced downstairs to pickup 6 month old baby Kai from kids club. Fast forward 6 years later and I have 3 little people who wiggle down to the gym with me all the time. Blaize and Pepper have been saying since they were 3 years old, “mommy needs to workout so she can be healthy.” Mimi (my mom) taught my kids that mantra with lots of pep talks. Mimi talked about the importance of going to the kids club so moms can be healthy and strong. Thanks to mimi for being an inspiration and helping me teach my kids that kids club is awesome! Bottom line, getting to the gym everyday with 3 little kids in tow can feel like so much work! Do I feel like going to the gym to workout? No, not usually. Do I feel like going to the gym to workout with 3 little people that ask 10 questions a minute? No, not really. But, like Mimi always said it will feel so good after you’re done and be worth it. And it is, every single time! Sometimes you get really lucky and adorable identical twin caretakers are at kids club! I told Blaize and Pepper that you guys will be best friends when you’re 21 like these identical twin girls. Mamas, keep rocking the kids club so the mother ship can stay strong! This entry was posted in momlife, My New Normal, Summer, Twins and tagged Babymama, citykids, fitmom, fitness, happykids, healthymom, kidsclub, mamalove, momlife, pdx, pearlmom, portland, Summer, teachfitnessyoung, thisislove, twinmom on July 3, 2017 by babymama3pdx.